Genevieve Valentine has sold more than three dozen short stories; her fiction has appeared or is forthcoming in Clarkes world, Strange Horizons, Journal of Mythic Arts, Fantasy Magazine, Light speed, and Apex, and in the anthologies Federations, The Living Dead 2, The Way of the Wizard, Running with the Pack, Teeth, and more. 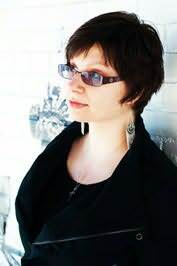 Her nonfiction has appeared in Lightspeed, Tor.com, and Fantasy Magazine, and she is the co-author of Geek Wisdom (out in Summer 2011 from Quirk Books). "Christina Henry shakes the fairy dust off a legend; this Peter Pan will give you chills."